Bromley hosted a pre-season work out which was an opportunity for coaches from that team and Thanet Wanderers to evaluate how the hard work of training would transfer to match conditions. New Wanderers head coach Mike Pond’s first squad selection was a blend of youth and experience that gelled well and showed good fitness in the testing heat. The game was played over two 20 minutes and one 40 minute sessions with frequent substitutions and positional changes. A clash of heads between Sam Rolfe and Dan Hill caused Sam’s temporary withdrawal for H.I.A and left him with a Sunday shiner. Bromley opened the scoring after five minutes following good pressure in Thanet’s 22. Charlie Knight ran a good line and showed great strength to win a penalty and Dave Lemon was alert as ever to nip over after 13 minutes for a Thanet try which Dan Hill converted. 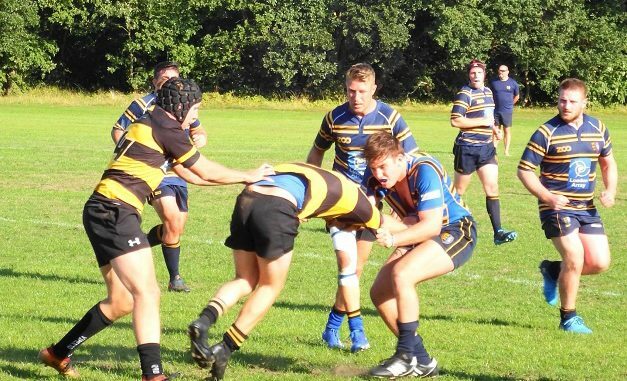 Bromley replied in kind with a quickly taken tap penalty of their own when Wanderers line defence was slow to form up and the conversion gave the hosts a 12-7 lead at the end of the first 20 twenty minutes. Wanderers pack worked very well in the second period but there was no score and the session was curtailed when despite treatment by Thanet’s physio, Monique Boorman, the referee had to retire with a hamstring injury. Bromley’s coach Tom Standfield took the whistle for the first half of the final period with Thanet’s Kris Finneran taking over to the close of the game. Wanderers were short of centres on the day and Matt Short and fellow forward Finneran had capably filled the gap. Bromley scored a third try to take a 17-7 lead into the final 20 minutes. Charlie Knight’s powerful break was well finished off by Rhys Hougham to make it 17-12. 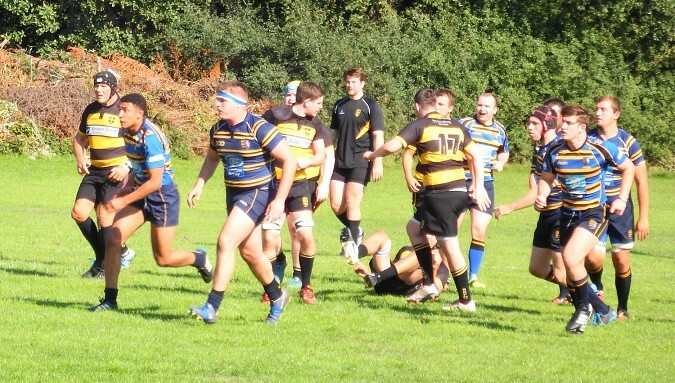 Bromley were short of props causing uncontested scrums. Andy Letts suffered a painful ankle injury and hobbled off. Thanet looked to have scored a late try but the home touch judge’s flag was up so Bromley were 17-12 winners. No great emotion from either camp over the result of this squad game. Good luck to Bromley for the season ahead, there are never easy games at this venue as Wanderers twice found to their cost last season. There were many good performances throughout the Thanet squad and selectors will have a tricky task in picking sides for the first games when those unable to play this match return to contention. Wanderers Mike Pond was really pleased with his squad and was much more confident for the season ahead after this game although he looks for another good turnout for training this week. 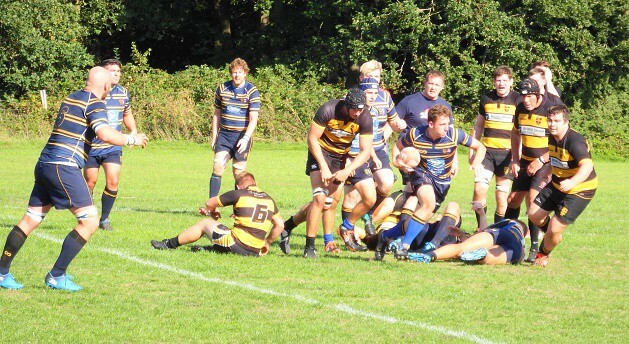 This was echoed by Neil Wakefield who found massive positives in the forwards’ performance but he had noted aspects that needed addressing before the seasons League opener against Old Colfeians. The South London side were relegated from London 1 last year as Wanderers were promoted from London 3 South East so this is a really tough first fixture for Wanderers. The match is away on Saturday (September 8) with a 3pm kick off. All support would be helpful and welcome.